OnSite Fleet Services of Texas is the number one diesel truck repair business in Arlington and the surrounding Metroplex area. Our superior knowledge when it comes to repairing all types of diesel vehicles is something we take very seriously and the only accolade we ever seek is your continued loyalty and custom. We are very grateful to be the number one diesel truck repair specialists in Arlington and always strive to repay your loyalty with an efficient service and affordable prices. So no matter the problem with your diesel truck, you can rest assured that you will be in safe hands when you contact OnSite Fleet Services of Texas. Don't suffer in silence with a faulty truck, call us today for a non-committal appointment and let our dedicated diesel truck repair specialists get your truck back to its best in no time at all. While many of our Arlington competitors claim that they're different, we can actually prove it. Our commitment to implementing the best and most concise diesel truck repair techniques is unrivalled. One of the main things that differentiate us from other truck repair companies in the Metroplex area is the fact that our repair service is dual pronged - that is to say it is both onsite and mobile. 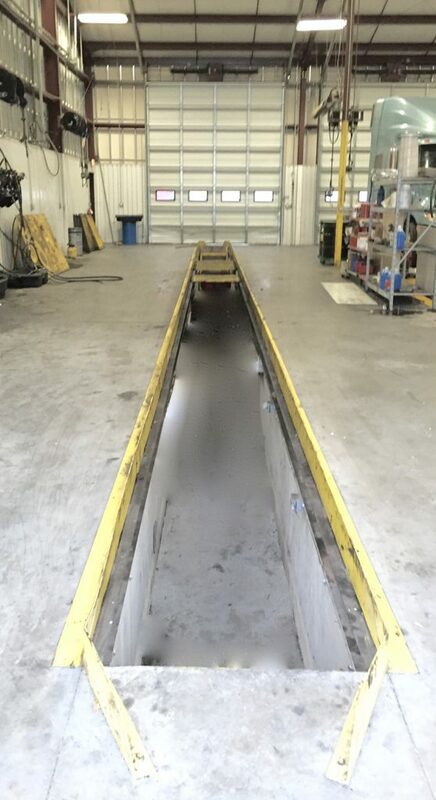 Our onsite garage consists of a ten bay shop where we can take care of all of your diesel truck requirements. In addition, our extremely efficient oil and lube station allows you to pop in and out in no time at all, meaning you suffer as little inconvenience as possible. The mobile nature of our diesel truck repair service means that you can still receive our unrivalled repair service without having to come to our garage. Our fully certified mobile repair specialists are available throughout the day to repair any type of problem. We aim to ensure that your fleet of trucks are running at their optimal level at all times and we will do all we can to keep you on the road. Smoke near your truck is never good but heavy smoke is particularly bad. In general, smoke of this variety is an indication that your truck may be experiencing engine trouble and need to see our repair specialists right away. The reasons why you have an overheated engine are wide-ranging. It could be anything from a blown head gasket to an oil leak. Conversely, it could be just that some debris has blocked the airflow. Either way, a damaged engine is a damaged truck and it needs to be remedied immediately. If you experience problems starting your engine then that it's never a good sign, in fact it is quite bad. Again, the reasons for this are vast and it could be anything from a dead battery, dirty fuel filters or a disconnected starter. If you are unable to solve the problem yourself then you should call our expert team right away.